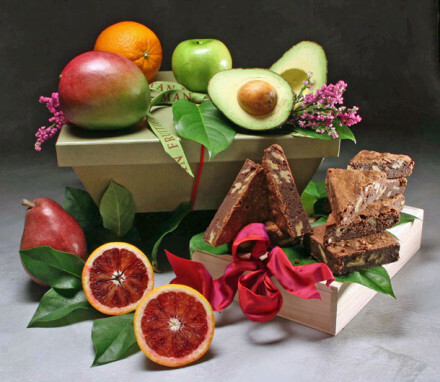 The Morgan combines luscious seasonal fresh fruits, a keepsake wooden box of dried fruits and nuts, and a sweet treat-- all in one gift. 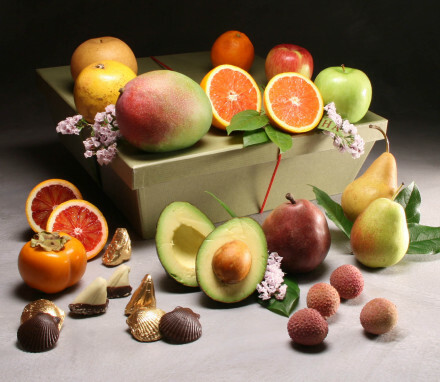 The Morgan features nine pieces of the season's finest fruits -- apples, pears, citrus, exotics and stone fruit -- accented with lemon leaves and flower. It’s the perfect gift for individuals and small groups. 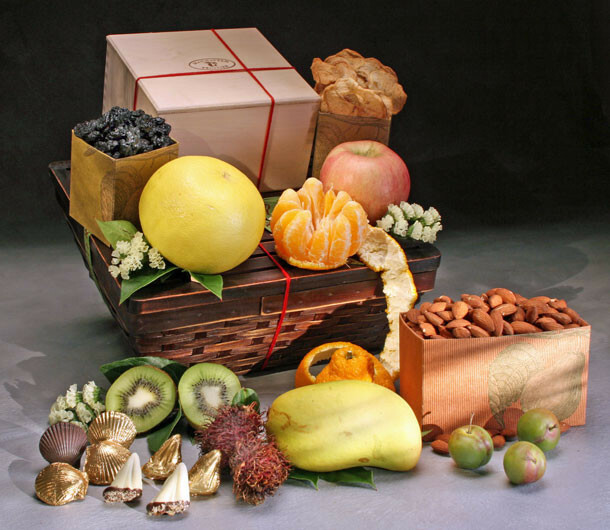 dried fruit and sweet treats vary by season. See contents below for current selection. 1 - Dried Fruit - Organic Apple Rings 3 oz. 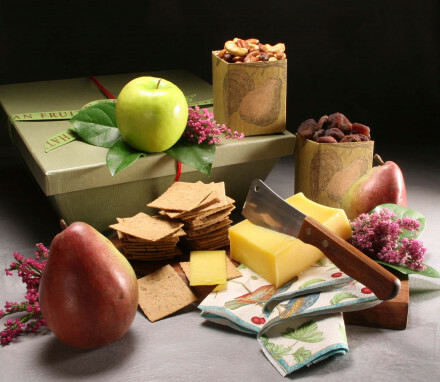 1 - Dried Fruit - Almonds - 9 oz. 1 - Dried Fruit - Cherries 6 oz.